Bukhave: Berlin - Travel tip! 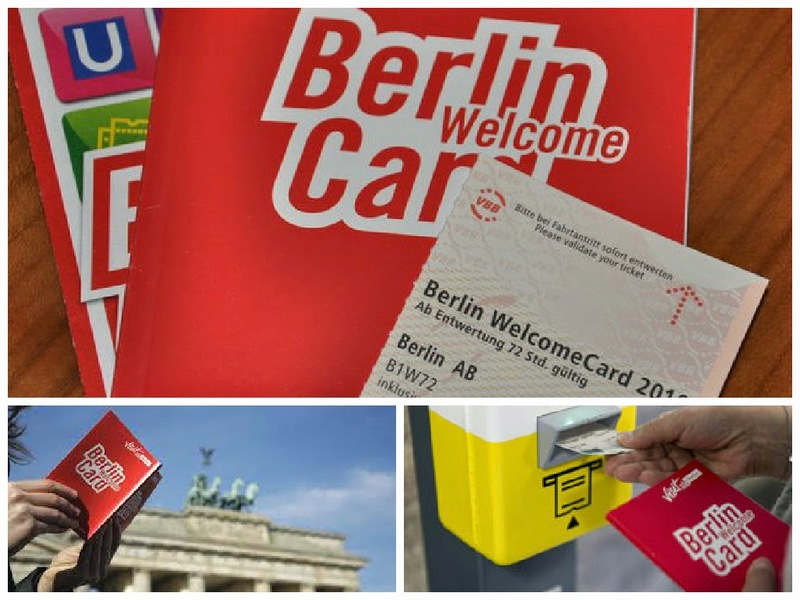 If you are planig a trip to Berlin in the future i will suggest to take a look at the Berlin welcome cards! With this set you are good to go! It is really easy. You can pay for them at home or go to one of their offices (which is right at the airport or at the biggest turist attractions like brandenburger Tor. You get a train/bus ticket for the A and B zone which is pretty much the only thing you need, if you are just a normal turist, because everything is pretty much in Centrum. First time you use this ticket, you have to find one of the yellow boxes shown on the picture above. You only stemple it once! When you buy your Welcome Card you can chose between a ticket for 1, 3 or 5 days. You get a book which is full of discount! It gives you 25-50% off the price at most museums and some restaurants. Ex i got a free dessert at Hard Rock Cafe and got 28% on the spree boat trip i told about here. Along with that you get a detailed map which is a bit bigger than those you get free at the hotels and a tubemap (U-bahn and S-bahn) which is a lifesaver!